PORT-AU-PRINCE, Haiti (AP) — Michel Martelly came to office promising a stronger Haiti following a messy election that provoked widespread skepticism. He is due to leave power Sunday at the close of his five-year term with few accomplishments and a legacy clouded by a new political crisis. The singer-turned-politician had urged Haitians to set aside deep divisions at his May 2011 inauguration. But his hostile relations with Parliament resulted in gridlock. Many Haitians say Martelly squandered a golden opportunity to turn impoverished Haiti around as international aid poured into the country following a devastating 2010 earthquake that flattened much of the capital and surrounding areas. 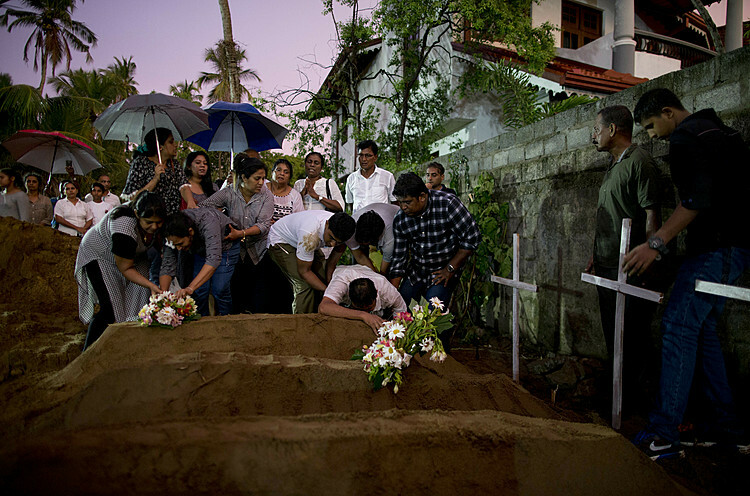 The disaster killed an estimated 300,000 people. "He said he'd help the population and I hoped it was true. But here we are still struggling, same as ever," said fruit vendor Nadine Suzie, selling oranges on a street corner by piles of smoldering garbage. Haiti has long been one of the poorest and most unequal countries in the world. Some who worked with him closely see Martelly as a charismatic but flawed leader who doomed his presidency by surrounding himself with an entourage of unsavory cronies, including a number from his previous career as "Sweet Micky," the self-proclaimed "bad boy" of Haitian pop music. "It hurts me to say this because I still like him as a person, but the Martelly years were a big zero. There were people around him who were very corrupt and money had a way of disappearing," said Georges Sassine, a prominent industrialist who was tasked with overseeing the country's industrial parks until he was abruptly replaced in 2013. 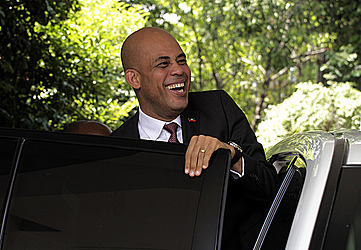 Martelly's former prime minister, Laurent Lamothe, who was forced to resign under pressure in late 2014 after some 2 ½ years in office, is distancing himself from the president during his shambolic last days. He asserts Haiti made clear gains during their partnership but political feuding over the last year has rolled them back. Lamothe told The Associated Press that the endless infighting between the president and Parliament "brought Haiti back to its old days of gridlock and self-serving policies that collapsed the economy and destroyed any progress that was achieved." The dysfunction deepened last year when the mandates of the entire lower house and a third of the Senate expired in the absence of elections, leaving Martelly to rule by decree. Martelly came to office after winning an election process marred by allegations of fraud, and only international pressure got him in the runoff. 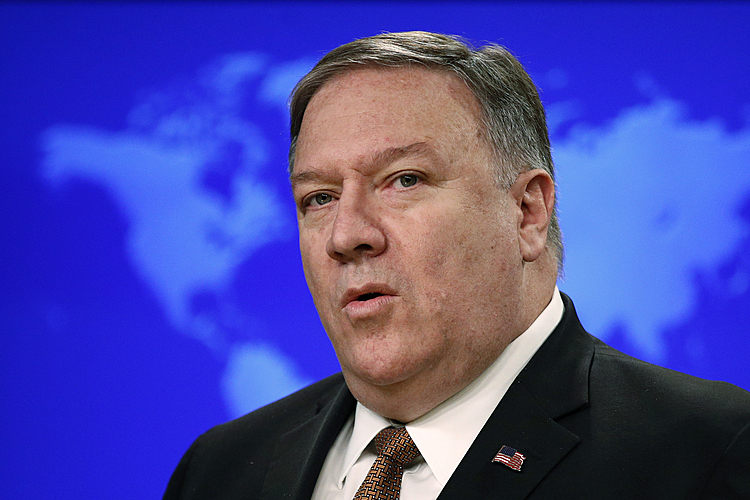 He leaves on Sunday, less than a day after he and Haitian lawmakers reached an agreement to form a short-term provisional government under an interim president who will serve until a newly elected leader can take power May 14. Violent opposition protests and deep suspicions of electoral fraud favoring his chosen candidate, Jovenel Moise, derailed a scheduled runoff last month. Martelly, through a party official, declined to be interviewed for this article. But at a Saturday ceremony with legislative leaders, the president somberly said: "Even though I didn't accomplish everything I hoped to get done for Haiti, we did our best." While he's unpopular with some of those in the political class and many struggling to raise families, the forceful, self-confident leader still has many admirers among the young. "This is the first government in my lifetime that's worked to build up basic infrastructure," said 25-year-old student Pierre Richardson Olson in Haiti's crowded capital. "That's worth something, isn't it?" Martelly's most ardent supporters insist he's been Haiti's best leader, while hardline critics often characterize him as a dictator who enriched himself illegally. His legacy is more complicated than either of those extremes. Kenneth Merten, the U.S. State Department's special coordinator for Haiti, said it's easy to lose sight of accomplishments made during the Martelly years amid the current disorder. "I think we would have all hoped to see that more was accomplished. But I think it's important for people who don't really know Haiti to understand that there has been progress made," said Merten, attributing gains in large part to partnerships with the U.S. and other foreign powers that supported the pro-business president. Haiti has more paved roads, more children in school, a stronger police force and less extreme poverty. The World Bank said that the local economy had its best performance in decades, with a real growth rate averaging 3.3 percent yearly from 2011 to 2014. 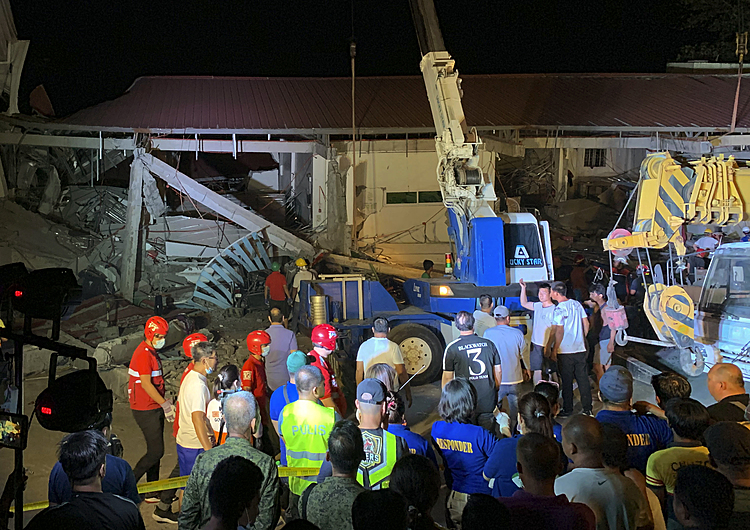 Parts of the capital have seen new construction, including major hotel chains, and the number of people in dismal tent camps has dropped from 1.5 million after the quake to about 60,000 now. But these gains, spurred by international aid, are fragile. Haiti's chronic problems of widespread poverty, lack of opportunity and exclusion remain entrenched. Martelly's government relied so heavily on Venezuela's Petrocaribe trade initiative, which provided subsidized oil to allied nations, that Haiti's debt to Caracas is nearly $2 billion. His government used savings from the program to fund building and social programs. One of Martelly's final acts in office was releasing a Carnival song under his stage name, aiming sexually suggestive lyrics at a respected female journalist amid the political crisis. Some former insiders see this as a sign that he was never all that serious about improving Haiti. "I think he saw power as an excuse to party," said Chantal Elie, a foreign affairs adviser to Martelly who quit after a year because she was fed up with various tensions, including, allegedly, frequent sexist comments by the president and officials close to him.